We’re getting back to the basics – starting from the ground up. 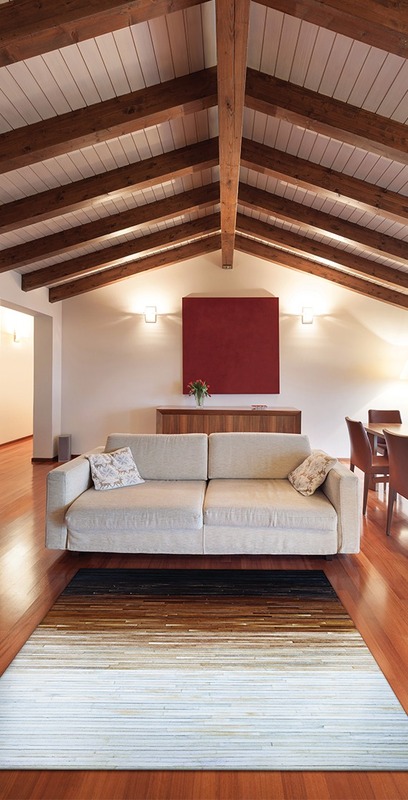 More and more of us are choosing hard flooring for our homes – from slate tiles to wood finishes. The breadth of style and colors offered in our wide assortment of area rugs has been selected to complement these organic looks. 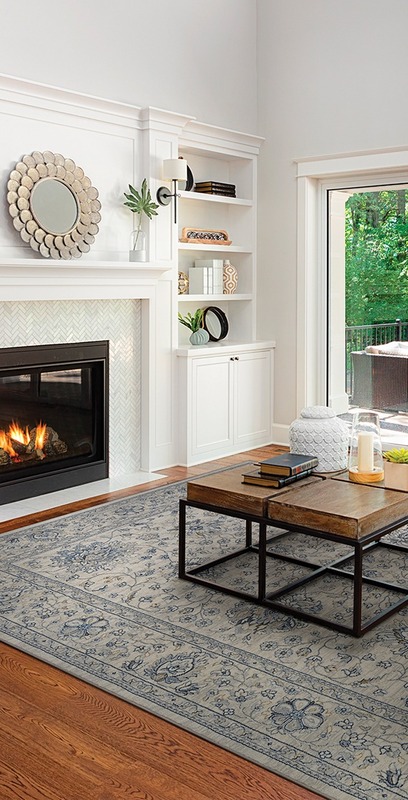 With a variety of designs and textures to choose from, here’s how you can use an area rug to make a style statement in your home. 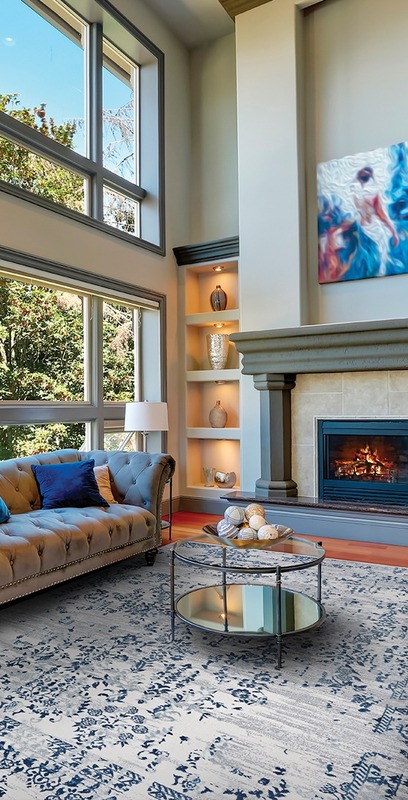 Use area rugs to lend warmth, color and vibrancy to a room. 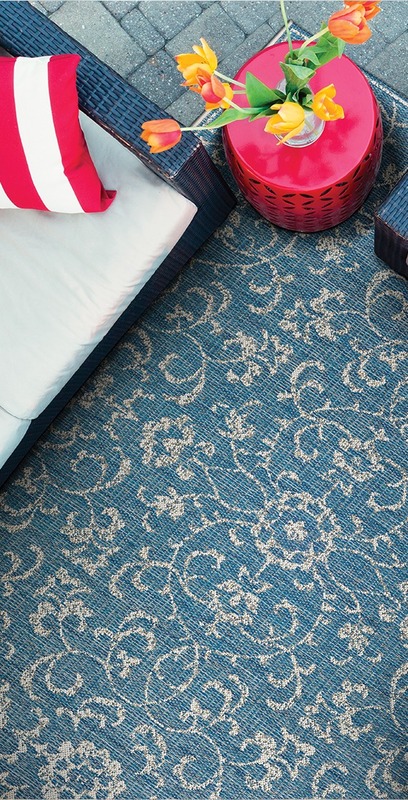 Placed effectively, area rugs can help reduce noise levels. On carpeting, area rugs add a dimension of luxury. On a carpeted or hard floor surface, area rugs can be used to define a dining area or a conversation corner. 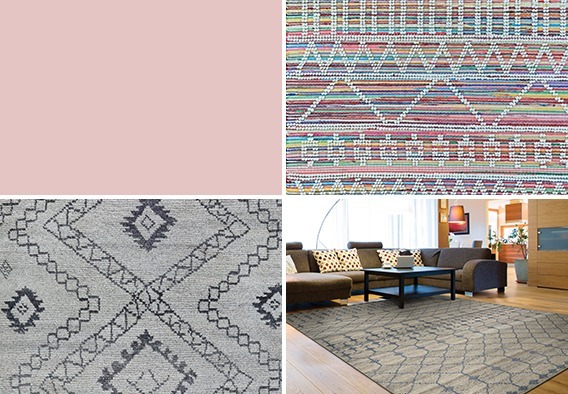 Focusing on color, texture and design trends we have simplified the selection process for you by categorizing each of our area rug collections according to five popular lifestyles; Casual Surroundings, The Good Life, Cultural Fusion, Home Retreat and Without Walls. Each lifestyle was created based on four key components that you should keep in mind when choosing the perfect area rug for your home; construction, pile fiber, design genre and suggested retail price points. The below bullets provide you with a quick overview of each lifestyle category. To view an e-catalog of each lifestyle assortment simply click on the corresponding tab. Offering a breathtaking balance between down-home comfort and bold fashion-forward design. Casual-contemporary area rugs enriched with a sense of pure warmth and refreshing verve. Textured accents, types of toe-curling, tactile elements that create a welcoming foundation for spaces. Hand-Crafted, hand-woven, hand-loomed and hand-hooked constructions that provide a relaxed lifestyle, ideal for interiors with a calm, leisurely atmosphere. 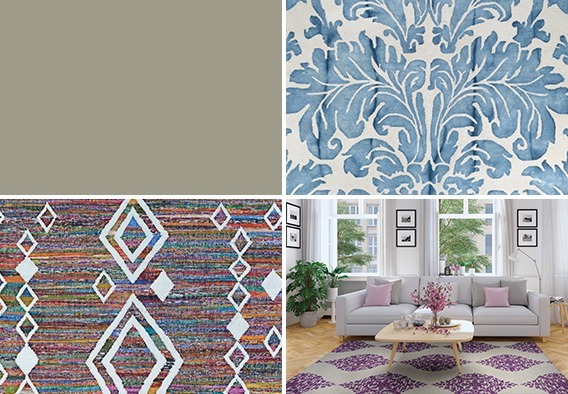 Tranquil tones and soothing free-form motifs to passionate, colorful patterns bursting with personality. Natural fibers such as wool, viscose, cotton, bamboo and jute. Rich textures, spicy hues and exotic patterns. 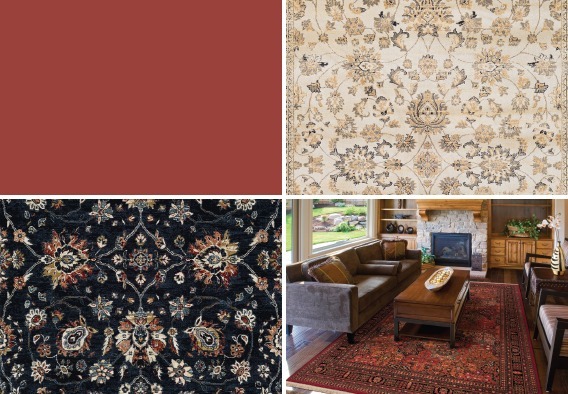 Area rugs featuring a combination of chic sophistication with charming rustic elements and distinctive styles that are ideal for eclectic interiors. Perfect match with distressed wood or modern, sleek furniture, ambient lighting and personal treasures from your own around-the-world travels. Constructed of natural materials like wool, bamboo, viscose and linen. 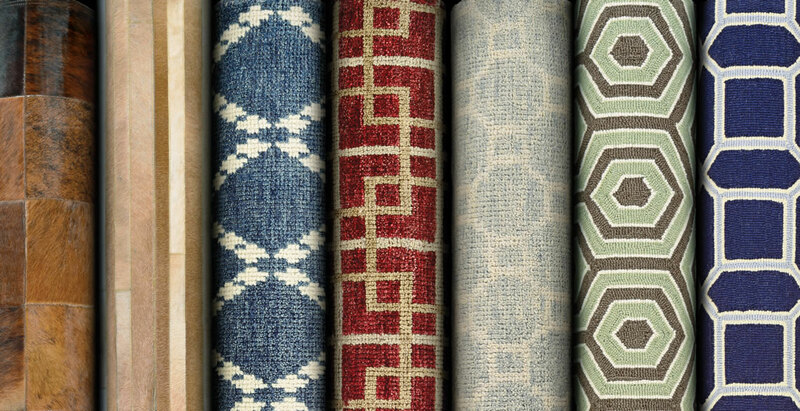 Vintage-inspired 100% wool area rugs that showcase authentic old world design motifs. Subtle modern-day makeovers that include updated colorways and a sturdy power-loomed construction. Recreated designs that express an appreciation for classic styling while offering an aesthetic that is made for the present-day household. Intricate and captivating, indulgent and refined, area rugs that fuse the past with the present. Vivacious and visually stunning designs with extraordinary style and value. 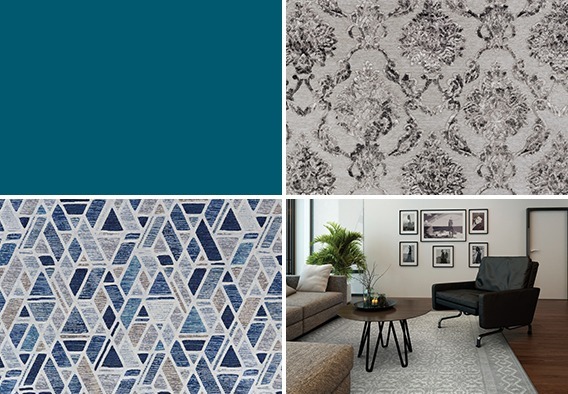 Coveted trends from classic Persian motifs to modern-casual textures, offering a wide range of aesthetics from traditional to contemporary. Machine-made area rugs with highly durable, cost-conscious materials like Courtron™ polypropylene, viscose and chenille that provide toe-curling enjoyment. Laid-back luxury that will rejuvenate interiors with a special verve and reflect personal style. Designed to bring fashion, form and function to outdoor spaces. Weather, water, mold and mildew resistant area rugs for indoor and outdoor usage. UV stabilized for longer color retention. Woven of 100% Courtron™ polypropylene from surface to backing. Featuring durable flatwoven and hand-hooked constructions. 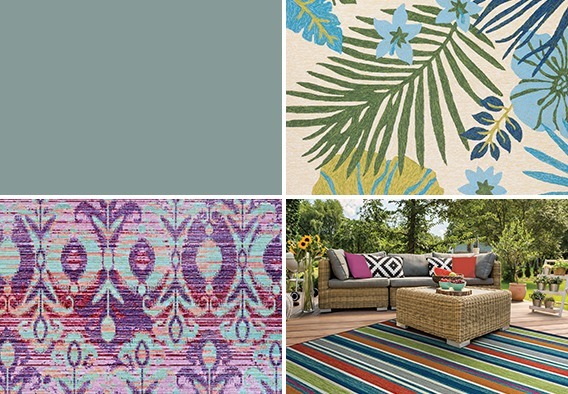 Endless array of color, texture and design options perfect for outdoor entertaining areas.